Two weeks ago we had a few kids over for a just because slumber party. In between playing video games and soccer the kids wanted to do a science experiment. So we did a simple science experiment that I do with my students in class. 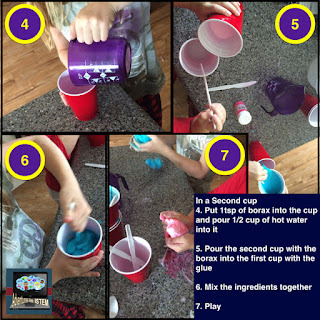 We made slime. Here is how we made our slime. - Sixth: mix everything together. After awhile this might get difficult as the ingredients start to combine together. - Seventh: take it out of the container and have fun playing with it. If the slime is a little to wet, which can happen, you could place it on some newspaper to absorb some of the liquid. 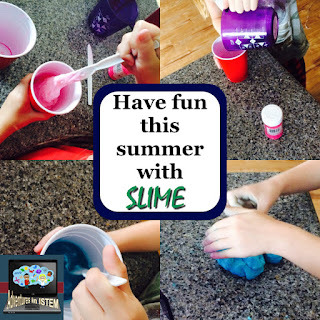 The kids had a great time pulling the slime, bouncing the slime, and watching it turn flat if they left it on the counter. To save it for later simply place it in a ziplock bag. 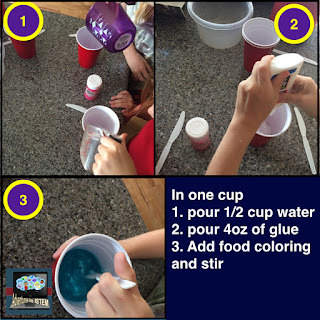 I hope you have fun making your own slime. Let me know how it turned out in the comments below.